Spend some time in Nature; Getting out into nature brings us back to a childlike state filled with curiosity. Our surroundings are always changing, due to the time of daylight, weather forecast and season. Go outside and simply observe. As a part of our series interviewing experts on how to live a “ravenous life” — a life filled with the passion, pleasure, playfulness and abundance that come naturally to those who dare to be authentic, I had the pleasure of interviewing Megan Murphy. 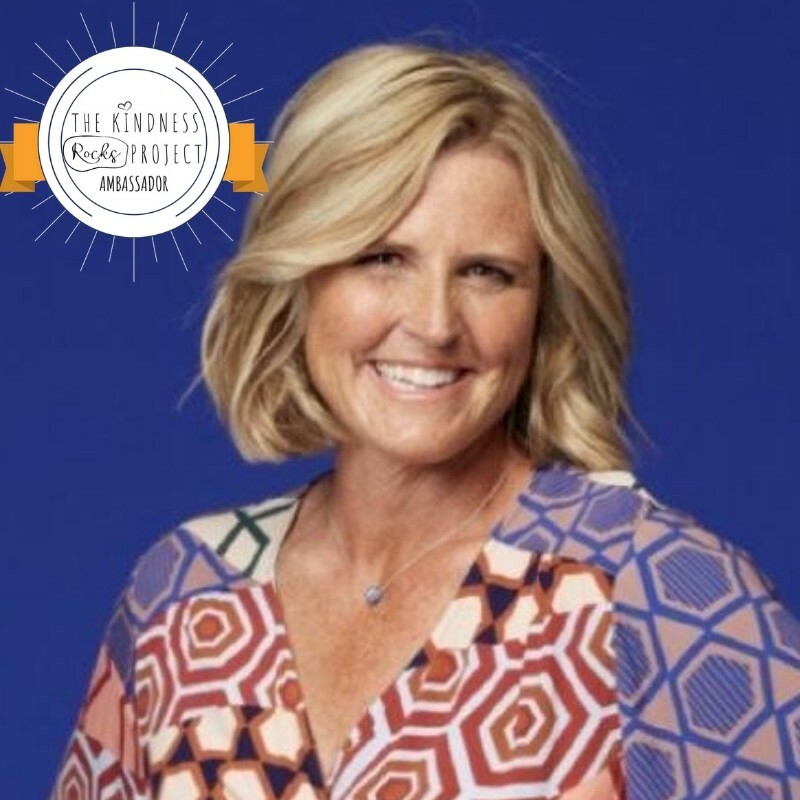 Megan is a Women’s Empowerment Coach, Author, Inspirational Speaker, Business Mentor and Founder of The Kindness Rocks Project, an International grassroots kindness movement. 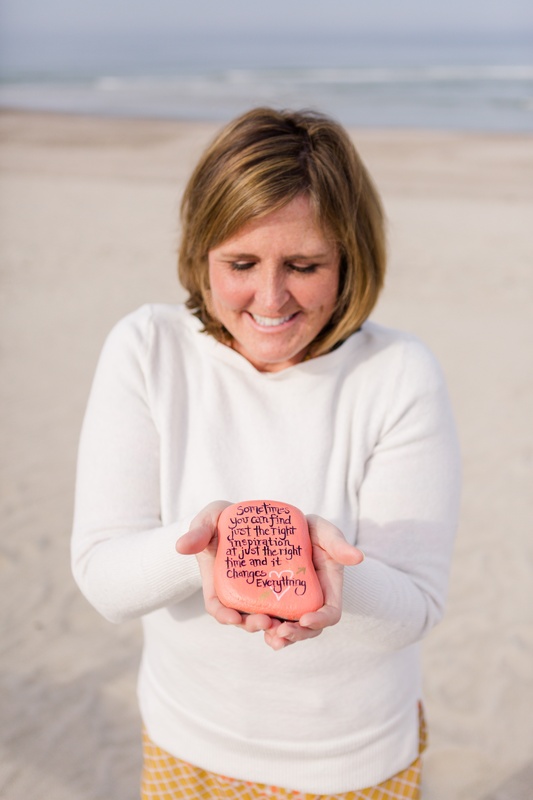 She believes that “One message at just the right moment can change someone’s entire day, outlook or life!” Megan resides on Cape Cod, MA with her husband, three daughters and two giant dogs. I had recently sold my retail fashion jewelry business upon realizing that I no longer found joy in what I was doing, when I found myself walking along the beaches of Cape Cod contemplating what my next career path would be. I knew that I was searching for something that would bring joy back into my life and as I walked along the beach I noticed little treasures such as heart shaped rocks and rare pieces of sea glass. I viewed them as “signs” or “messages” from above. I had lost my parents in my early twenties and often during difficult or transitional periods of my life I would ask them for guidance from above. I would say things like, “If this is the right decision, send me a heart rock.” and low and behold a heart rock would wash ashore in front of me. I realized that others were also most likely walking that very same beach looking for answers and that is when I began writing inspiring messages on rocks and dropping them for others to find. I thought maybe my kindness rock would make them as happy as my heart rocks had made me. 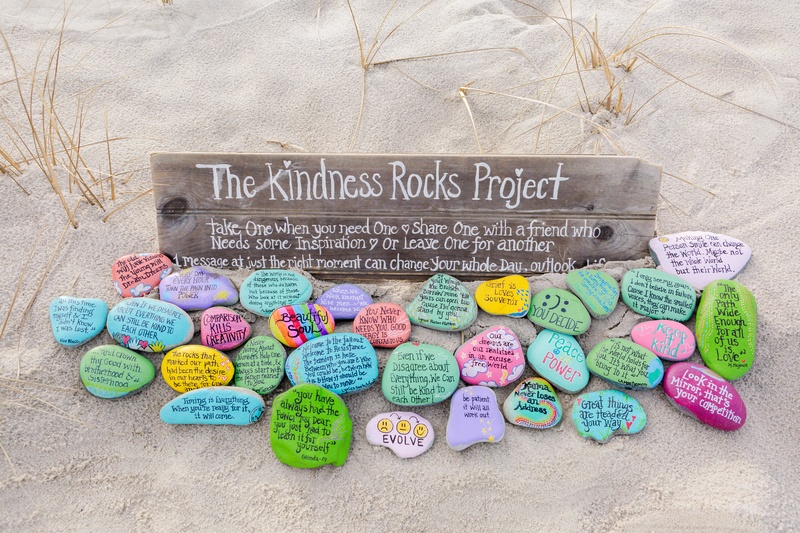 This hobby went viral on social media and became The Kindness Rocks Project, a grassroots International kindness movement. As a result of all of the media attention I now travel and speak about the importance of kindness and compassion. To me, living on purpose means living with intention not for attention. Finding those things that set your soul on fire. We are each brought into this world with hidden gifts to uncover. Like individual fingerprints, we each have a different purpose to find and share with others, and the way to uncover them is to pay attention to the people, places and things that bring us joy, and gravitate to them. Let your intention be your guide! Pain or life’s difficult moments can actually be signposts that we are off course and headed away from our purpose. They can act as a GPS of sorts, alerting us to change course or to pay greater attention and be more mindful of our circumstances. When we look at these difficulties as growth moments to help us evolve, we are then able to move from problem mode into solution mode in a shorter amount of time. Often, this leads to gratitude for having made it through to the other side stronger and more prepared for the next difficulty that life may bring. I believe that the United States is currently ranked low in the World Happiness Report because we spend too much time watching the news. I know this sounds simplistic, however, when we start our days inundated with negativity, we can’t help but carry this with us throughout our day. And upon returning home from work, we turn on our evening news to see what we have missed and yet again, we are inundated with images of terrorism, gun violence, natural disasters and political bickering which bring us a sense of fear and distrust. I believe that to be a happier country, we need more positive news reports to counter all of this! I have used The Kindness Rocks Project to ignite awareness about the importance of kindness and compassion. My plan is simple, to use an everyday item such as a rock as a symbol of kindness. This allows anyone around the world to join and participate. In the end, it is our collective voice that will change the world for the better. The responsibility is all yours and mine! Awake each morning with a grateful heart; Say “thank you” for the gift of another day! Eliminate the negative. Turn off the morning news and opt for a quiet moment of reflection or meditation. Listen to uplifting music or inspirational audio books on your morning commute. Use your time wisely. Smile from the inside out! When you feel happy on the inside it will shine outward. Bring good energy to wherever you go; you are responsible for the energy you bring into a room…always be aware of this great responsibility. I find great inspiration in this quote as it is the catalyst for my creating a grassroots kindness movement. Each of us has the potential to change the world for the better. I am writing a book sharing all of the inspirational stories shared with me from members of The Kindness Rocks Project. I hope that this book will help people have a greater understanding about the impact a simple act of kindness can have on another. 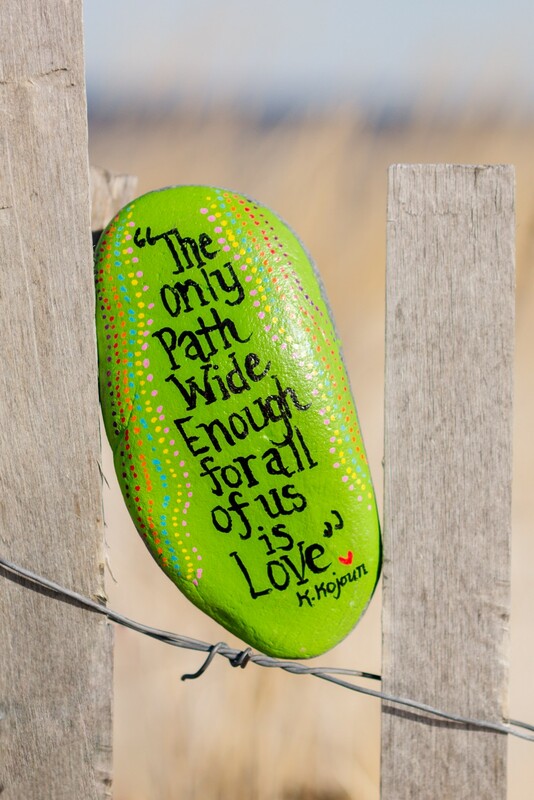 The Kindness Rocks Project… the simple art of connecting one kindness rock at a time.